FREMONT, Calif. /California Newswire/ — TeamF1, Inc., the leader in embedded networking and security software solutions for wired and wireless applications and a Fremont, California business for more than a decade, continues its tradition of community involvement this year by sponsoring the city of Fremont's programs benefiting local youth and families. The company's local outreach initiative, which it calls "F1rstHand," invests in activities that lend a hand to deserving local causes. "We are delighted to have TeamF1 as a Gold Sponsor this year as our efforts in developing community facilities and programs continue to grow and get used by many, many more of our residents and visitors," said Lance Scheetz, Fremont Parks and Rec Revenue Manager. "The realization of our many activities such as Kids and Kites, Concert at the Park, and all our classes through community support and sponsorship adds to Fremont residents' quality of life." TeamF1's support of the city's Parks and Recreation's many summer programs as a Gold Sponsor enables children from low-income families to participate in classes and activities for free, including activities at the City of Fremont's Aqua Adventure Waterpark, which opened its doors for the 2013 season only a few weeks ago. Fremont's Parks and Recreation Department is a not-for-profit organization offering programs, facilities, event and party planning and even catering, that make the city one of the best places to live in the San Francisco bay area. Keen on the community's current needs, the Parks and Recreation Department launched a scholarship program which underwrites the costs for low income families' admission to various classes for the youth. Requests for such scholarships have increased substantially over the past few years according to Scheetz, and now, classes such as swimming, art, dance, computer skills and more are made available through these scholarships. One hundred percent of donations received by the department are directed to low income families needing support to enroll their children in these programs. "We are committed to not just seeking excellence in our technical field, but also to setting a new standard in business citizenship," said Mukesh Lulla, president, TeamF1, Inc. "We plan to expand our community outreach efforts with increased collaboration with local organizations, and contribute to or sponsor a wide-range of community endeavors each year, in pursuit of a what we refer to as a 'good-for-nothing' goal – bringing about good while expecting nothing in return." Rica Ortiz, Operations Manager of TeamF1 explained, "TeamF1 has enjoyed its Fremont home for many years due in no small part to the City of Fremont's pursuit of programs promoting an active and healthy living, such as those run by its Parks and Recreation organization. We are very grateful for the opportunity to be associated with its programs and contribute to making these resources accessible to everyone in our community, most especially our youth, regardless of their financial position." Course descriptions and easy online registration information are available on the Parks and Recreation's site at https://www.regerec.com/Start/Start.asp and more information on the city's Aqua Adventure Fremont Water Park can be found at http://www.goaquaadventure.com/ . 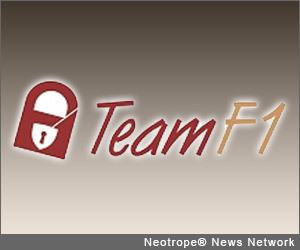 TeamF1, Inc. a privately held corporation headquartered in Fremont, California, is a leader in high performance embedded networking and security software. TeamF1's products enable secure networking of telecom/datacom and industrial equipment. For more information visit http://www.TeamF1.com or contact TeamF1 Public Relations at 510-505-9931 or email pr@TeamF1.com.